Barbara Crandall and Kathy Gee are part of a club no one wants to join. It’s the club for parents who have lost a child. 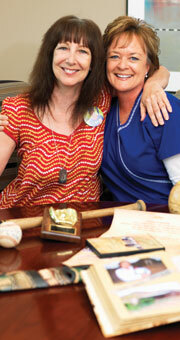 The two met while working at the NorthBay Center for Primary Care in Vacaville. “You’re so lost when you lose a child,” says Barbara, whose son, Jason McCurdy, was killed in a car crash on his way to work at age 20. That was in 2003, and it took a journey halfway around the world to help her recover. Kathy’s son, Anthony, was just 16 when he was gunned down at a Sweet 16 party in American Canyon. At the time of his death in 2007, Anthony was a baseball star who had earned national attention as a gifted pitcher. He was shot by two Vallejo brothers later convicted of firing into the home’s garage after being asked to leave the party. In his honor, Kathy is working to form a youth center to help at-risk kids stay out of trouble. Just months after Anthony’s death, Kathy, a nurse practitioner, started a new job with the medical group. The first person she met was medical assistant Barbara Crandall. “If you haven’t lost a child, you can’t understand the intense grief you feel,” Barbara says. Months before the two met, Barbara had been given a chance to work on her own grief in South Africa, helping children grieve the loss of their parents. Today, both women are working on a legacy that will help others. For Kathy, it has been the constant work on her dream of a youth center in American Canyon. Her non-profit organization has been formed and fundraising begun. She hopes to first start reaching out to kids with base-ball clinics and other events. Barbara and Jennifer are presenting their documentary at film festivals around the country. They hope it will be used as a tool to help other parents grieving the loss of a child. On Dec.1, 2006, six diverse American women came together to take a very unusual trip: an intensive pilgrimage to work as volunteers with children in rural South Africa. Strangers to each other before the journey, these women shared one life-changing experience: each had suffered the death of a child. NorthBay Center for Primary Care Medical Assistant Barbara Crandall of Vacaville inspired the trip. The resulting 80-minute documentary film, Motherland, opens up an honest and intimate dialogue about the complexity of grief and healing.The film is winning awards at film festivals across the country. 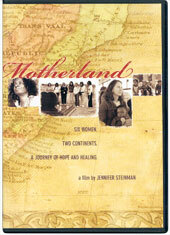 For more information, visit www.motherland-thefilm.com. Grieving is a complicated process and no one should have to endure it alone. As a community service, NorthBay Hospice & Bereavement conducts bereavement support groups for adults, young adults, teens, middle school age and even young children, to help all ages cope with the stages of grief. NorthBay Hospice & Bereavement’s adult group meets weekly throughout the year, with occasional breaks. The atmosphere in both the adult and teen groups has been described as very down-to-earth, and they are open to any form of grief or loss expression, says Theresa Baides, LCSW, group facilitator for the youth bereavement sessions. In the children’s group, “we have the children work with Legos, Play-doh and paint,” says Theresa. Children will be encouraged to decorate boxes to hold special mementos of their loved ones, or may draw pictures of special memories. “They may draw pictures of boats, for example, and then tell a story of going fishing with grandpa,” she explains. During adult and teen group sessions, participants discuss the various stages of mourning, which may include anger, denial and guilt. Some may feel guilty for not actively grieving, while others feel inadequate for grieving often. Each process is an individual path that hopefully leads to personal growth and restoration. In the sessions, group members will also be taught how their reactions may be impacting their physical, emotional, spiritual and cognitive ability to function. Group facilitators are well trained to identify and treat complicated grief. Group meetings are free, are offered to the public as a community service, and are made possible through funds collected during the Solano Wine & Food Jubilee. For more information about NorthBay Hospice & Bereavement support groups, call 646-3575.